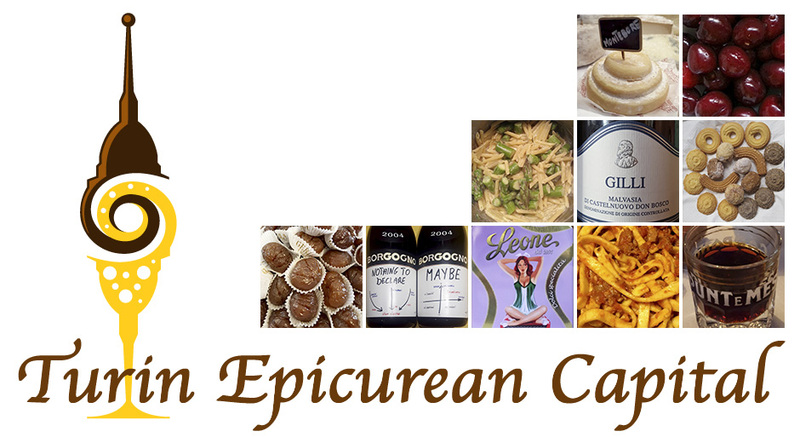 Attending the Turin Epicurean Capital (Turinepi) meet was a rewarding experience. The three-day program (June 21-23, 2017) was thoroughly organized by Lucia Hannau, and the attendees were impeccably looked after. Thank you, Lucia! 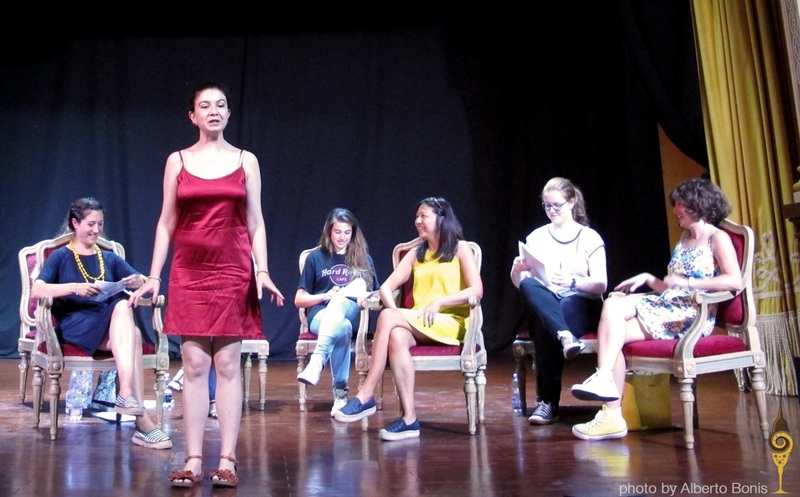 The venue was the beautiful theater of Collegio San Giuseppe, a historical school that operates since 1875. What got us together at Turinepi is a common acknowledgement that food is essential and that it can, fortunately, be a genuine delight. But we need to learn to be conscious of what we eat and drink every day, because in the decisions we make, our health and the environment must play the major roles. The fact that food unites people should not be neglected, especially these days when everything tends to run too fast. I am glad that I have found people sharing this approach and who are working hard in different fields to raise the awareness. Each day started with a short round table were the guests could introduce themselves and tell about their interests and relation to food and/or wine. All the sessions were enthusiastically translated into English by a local team of translation students. On Day 1 we heard the experience of two food bloggers (My Persian Kitchen and Christina’s Cucina), one Italian wine connoisseur (Sassodoro) and his wife, who is heartily passionate about pizza (pizzabianca). Our first lunch was at Talmone. 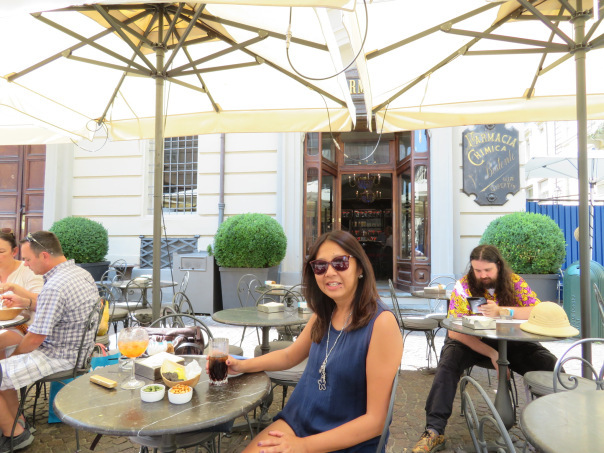 You can read about Turinese historic cafés on my first Sneak Peak on Turin ‘Curious in Torino’ where I have also commented on Talmone. The evening was a highlight for me: An excellent Piedmontese cooking class with two nice chefs (Margherita Frari and Marco Giachello) in a great location (Qubì). Besides being a venue for gastronomic events, Qubì hosts once a week a pop-up market to sell locally grown produce. Both Margherita and Marco appreciate and emphasize the importance of using fresh, seasonal produce. The Piedmont is a privileged region, where unique products can be found. I was totally happy with the lodging at Best Western Hotel Genio. Although I usually prefer to stay in smaller hotels, Hotel Genio is located central and just a few steps away from the Porta Nuova train station, where I had my trains. I had the chance of staying in two different rooms (one with a bathtub and another one with a shower). Both were spacious, completely renovated, very clean, quiet, and comfortable. Besides the usual choices for breakfast, they also had fresh fruit, scramble eggs and bacon, cakes and pastries, etc. A good way to keep a foodie happy. On Day 2 in the round table we had the chance of listening to an astrologer with her new book (Linguaggi Simbolici), the American actor Daniel McVicar, a food blogger (The Watchful Cook), and Ilva Beretta, an awarded, food photographer. A special constellation. We had lunch at Il Vicolo, a place well-known for the good risottos. I had the one with porcini mushrooms and truffles (risotto porcini e tartufo); it was really good. Because Turin is more than good food, in the afternoon Adriana Delfino showed us part of her clothing and jewelry design collections and explained her views about what is fashion for her. In the evening we met again in Qubì, where we all took part in a sensorial aperitif, conducted by Lucia Andriolo, a specialized psychologist. Comfort food and mindful eating were strong topics. We ended up the night with a fantastic buffet prepared by Margherita and her team. Oh, Day 3! That is when I had my turn in the round table. I really do not like to speak in public, but it was a new experience and I was glad that I could do it in Spanish. Thanks a lot to the interpreters. Besides, I was lucky that I had the chance of sharing the round with Carolina Stupino (Tastes of Carolina) and Amanda Courtney (Amanda’s Wine Adventures). Both are totally fond of the Piedmont and have good reasons! Lunch was at Contesto Alimentare. I really liked this small trattoria that has a contemporary look but serves fresh, traditional flavors. Carolina and Amanda, the locals, showing me one of the many reasons why one should visit Turin: You can find the best ice cream! Like here at Mara dei Boschi. In the afternoon we undertook a downtown tour with a GIA guide. It was a different way of discovering Turin; sightseeing with insider’s anecdotes of some of the city landmarks. Turinese never show off. Be aware that the main characteristic of Turinese is that they are humble, and they like to keep it like that … Discreet. Go there and explore yourself to find their treasures. You will understand why I love it!